Circumnavigate the shallow shores of this placid and beautiful lake. 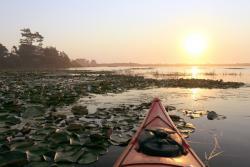 Relax among Lilly pads and cat tail filled banks late spring to late fall and paddle right next to several large beaver lodges any time of year. 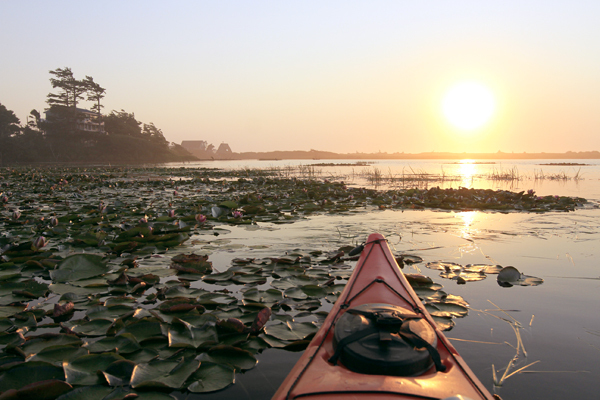 Seasonal migrations of bird, such as brown pelicans, visit this local treasure and curious Dragon Flies may elect to hitch a ride atop your kayak. Take your chances to see a herd of resident Roosevelt elk from your kayak near dusk and dawn. Great for family outings, new and novice paddlers. For convenience, stay overnight in the charming community of Oceanside just over the hill, have dinner at Rosanna's with an ocean view and wake up for excellent coffee and breakfast at Brew'n In The Wind.